The Upstate New York Group opened its first office in 1992. Since then, our group has grown to more than 75 locations and 650 employees in Buffalo, Rochester, Syracuse and the surrounding areas. Based on previous trends, we anticipate this growth will continue for years to come. The Upstate New York Group’s exceptional level of success has instituted a high demand for our people throughout the company. While we believe in working hard, we also know the importance of having fun. 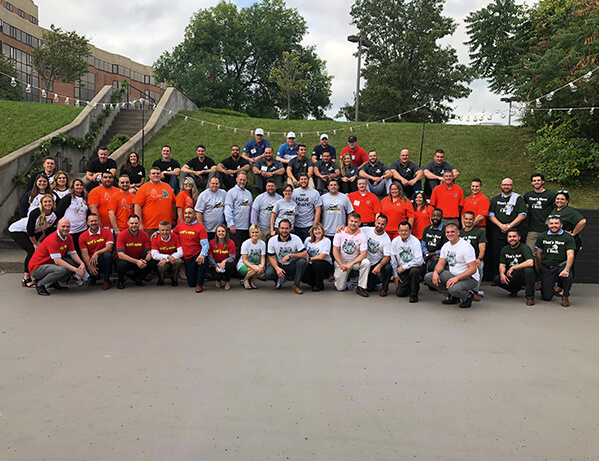 Company-sponsored events like our business dinners and participation in the community are just some of the events that bring our employees together outside of work. In our group, we work as a team to make sure we are growing and succeeding – both individually and as a group.